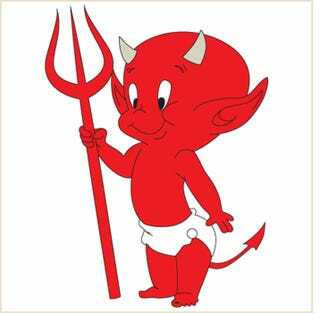 According to multiple sources, DreamWorks Animation is now developing a movie based on the Harvey Comics series Hot Stuff The Little Devil. That part isn't so shocking, since DreamWorks bought Classic Media, which owned the rights to all the Harvey Comics franchises such as Casper the Friendly Ghost and Richie Rich, back in 2011. What's interesting, though, is that sources, like the Hollywood Reporter, are suggesting the film could be DreamWorks' first CGI/live action hybrid. Regardless of how the movie will be made, Wendy and Lizzy Molyneux of"Bob's Burgers" fame will write the script. It will likely sport Hot Stuff running around getting into trouble for a mixture of mischievousness and good deeds. In the comics, humanity didn't like when Hot Stuff did the former and his fellow devils disliked when he performed the latter. At the moment, there aren't any specific plot details.